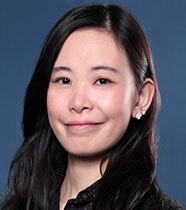 Ms. Cui is responsible for developing proprietary systems at DFG as well as data processing and visualization efforts. Prior to joining DFG, she participated in various computer science-related projects and competitions, including claiming third place in 2016 CodeGS – an annual hackathon sponsored by Goldman Sachs. She is proficient in various programming languages and database systems. Ms. Cui holds an M.S. in Computer Science from New York University and a B.S. in Electrical Engineering from Tongji University in China.